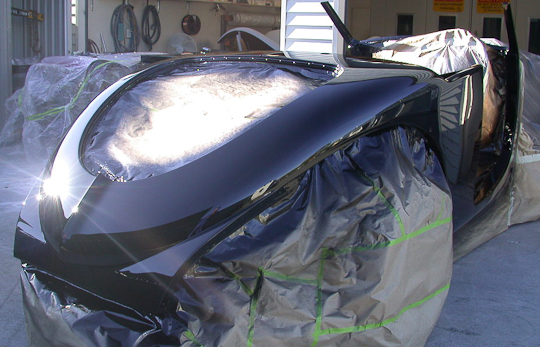 A distinctive characteristic of our service, Auto Restorations has always had a natural calling for custom built motor cars. 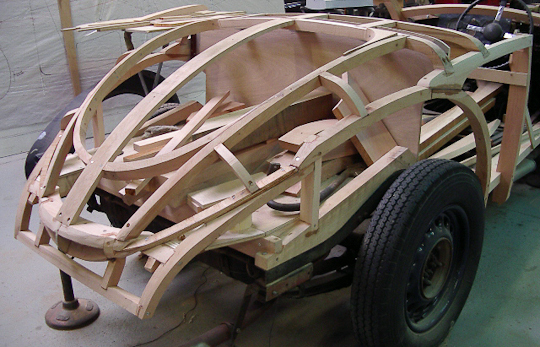 Our craftsmen have an exceptional capacity to interpret our client’s dreams and skillfully fabricate to their specifications. 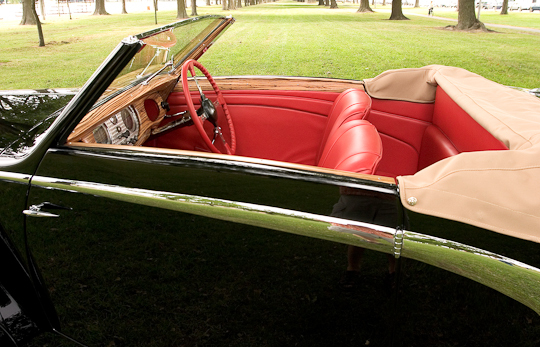 These restorations are widely regarded as some of the most beautiful seen today. 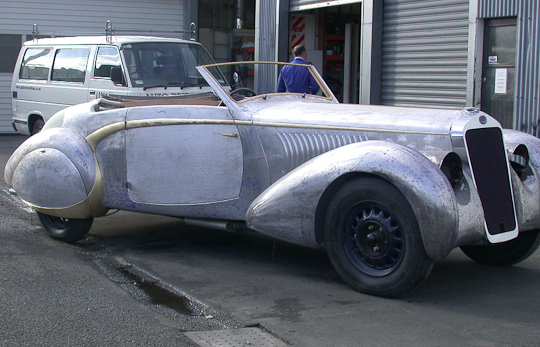 When customer Derek Durst acquired the Delage in very poor condition. 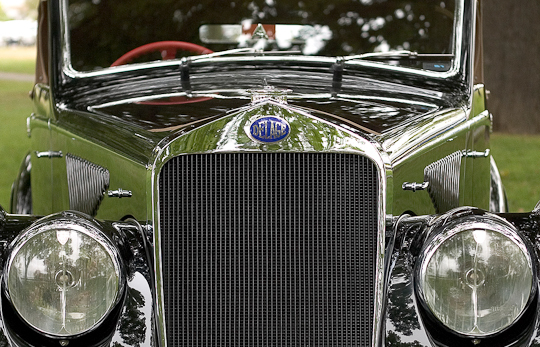 He decided, rather than restore the badly rusted bodywork, he would send the car to Auto Restorations. 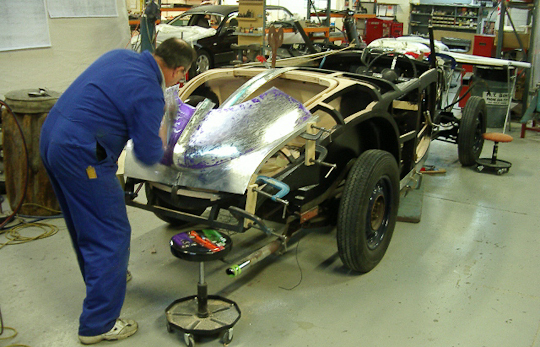 And combine his knowledge of industrial design to work and collaborate with the artisans at Auto Restorations to create a new bespoke body for the car. 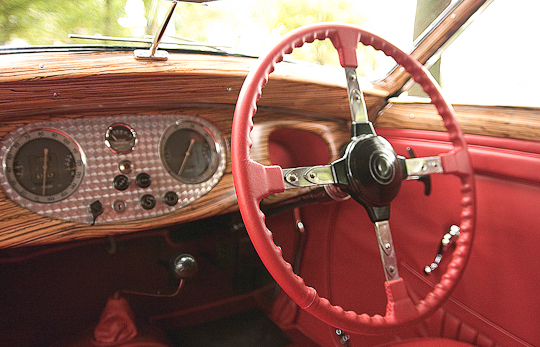 The design was then drawn up, the wooden frame hand-fabricated, and the shell hand-formed from aluminum by Auto Restorations in Christchurch, New Zealand. 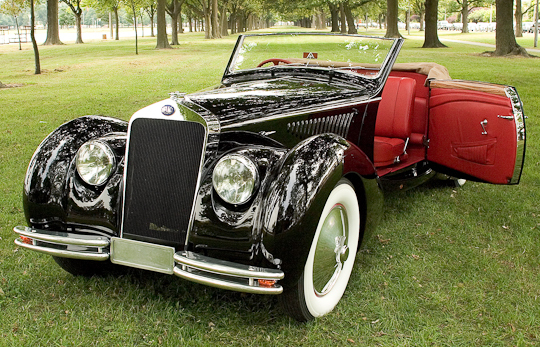 Today this exquisite Delage is a curvaceous roadster finished with an immaculate coat of gloss black paint. 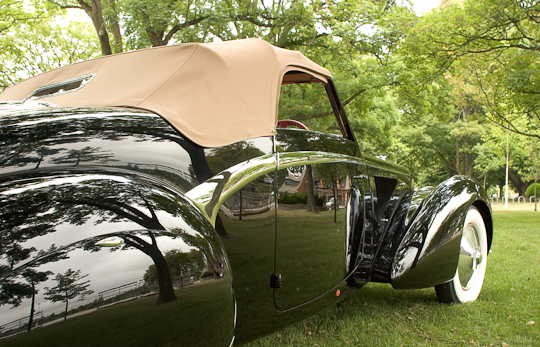 That he put his own custom body on the car is in keeping with how Delage cars were built originally: The company didn’t build any bodies of its own; instead all were fabricated by outside coachbuilders to customer specifications. 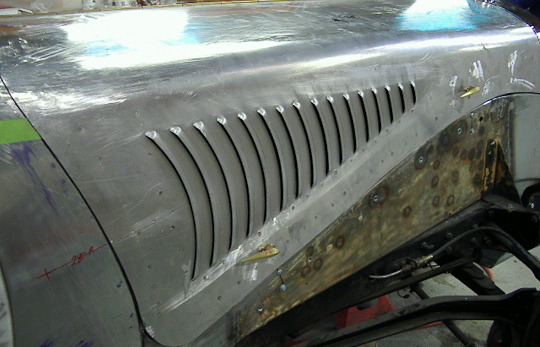 Derek Durst commissioned Auto Restorations to build a new, one-off custom body on the car is in keeping with how all Delages were built back in the day—Delage outsourced all their coachbuilding to the most highly regarded craftsmen of the era; all were skillfully fabricated to customer specifications and are widely regarded as some of the most beautiful automobile designs of their era. 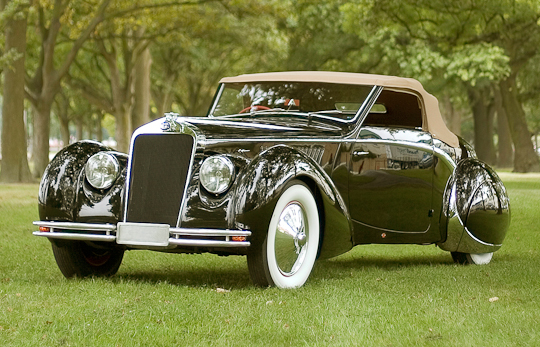 Derek Durst tells the story of the restoration project below. 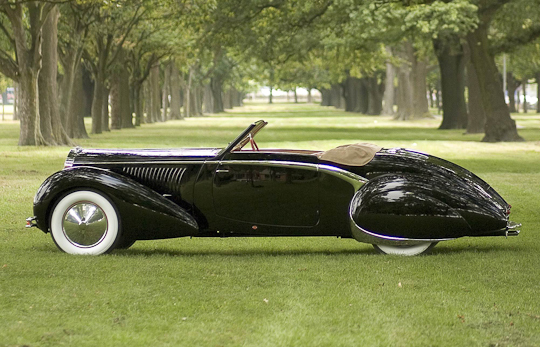 “Delage did not build their own coachwork, it was always farmed out. I acquired this car still with its original Letourneur et Marchand 2 door sedan bodywork in poor condition. 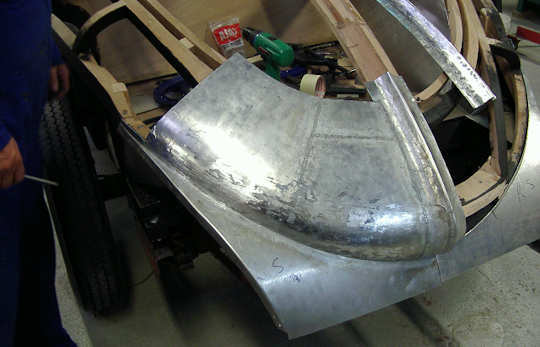 I was faced with the choice to restore this body with a somewhat dowdy appearance or to make something truly special on the original chassis. 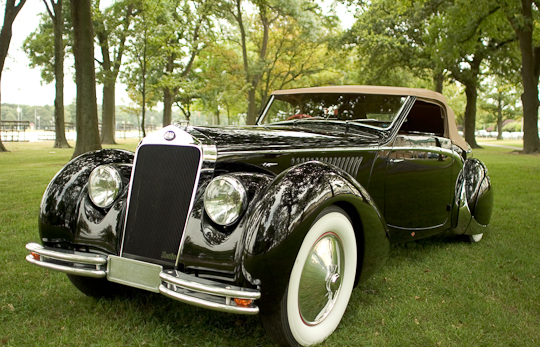 My creative side won out and I designed and had built a period-correct convertible body in the style of Saoutchik or Figoni et Falaschi though not an exact copy of anything or any other car. I’m sure you wouldn’t wear the same suit of clothes for sixty eight years. 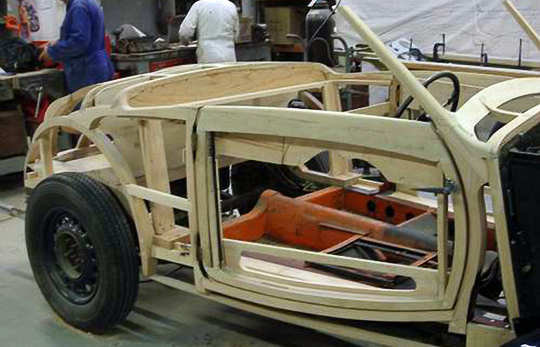 Think of this as an old car with a new suit of clothes! I personally followed the construction process on a daily basis to ensure that the highest of standards were maintained. 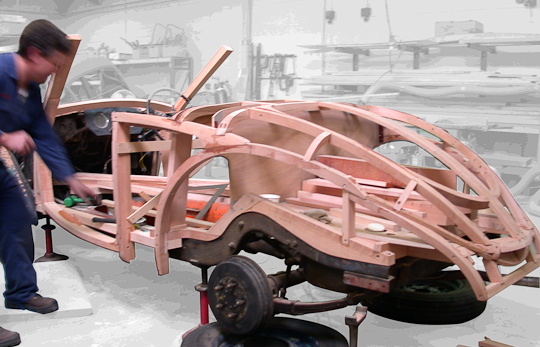 The all wood framework was joined and fitted to perfection, every bit of aluminum bodywork was hand-worked and hand fitted by the most skilled craftsmen, all in the most time honored, and traditional way, nothing modern. 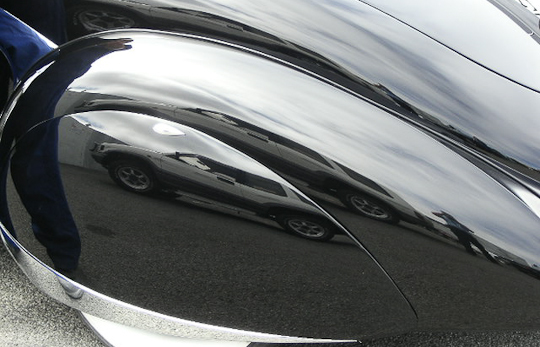 Solid brass trim was all made by hand piece by piece, hinges, door and hood handles were individually cast and hand machined and polished to a mirror finish before heavy chrome was applied. 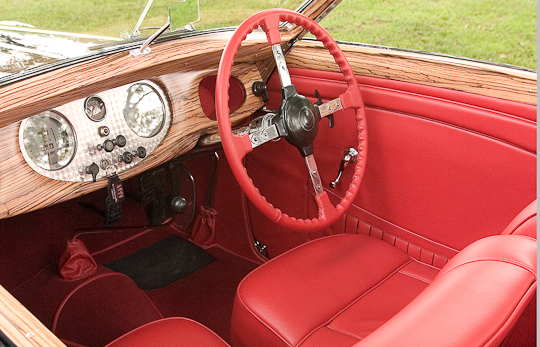 The dashboard and interior garnish moldings were hand cut, fitted, and polished from exotic African zebra wood. 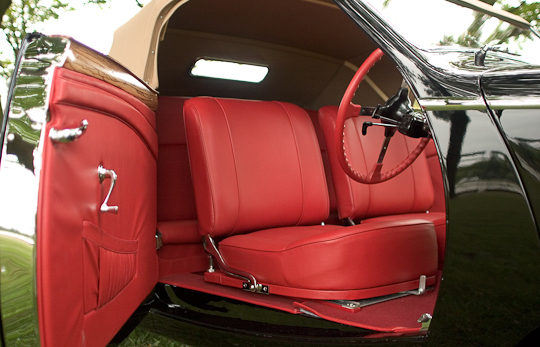 Lipstick red hides were hand-picked for perfection and softness before being delivered to the upholsterer. 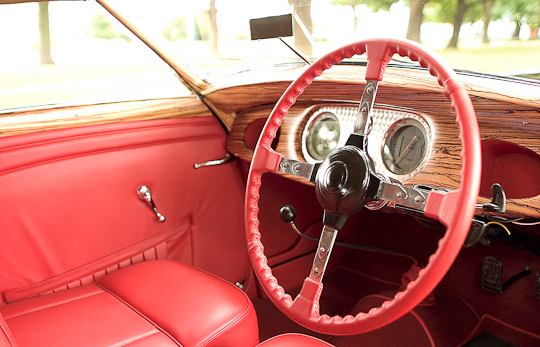 Even the steering wheel has had its rim covered with the same red leather and lovingly hand stitched in place.